Removing the cargo is the same thing as unloading it, just the world and the date is the same you are currently on. 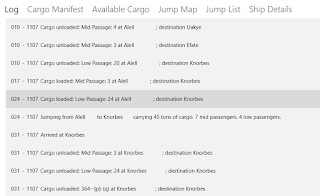 So that method gets called when you click the delete button on a cargo item, or make the jump. 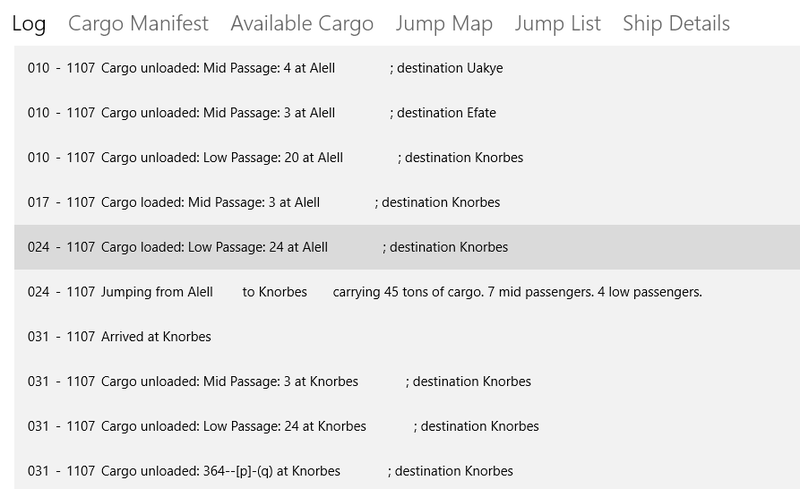 I've also added in the jump process to unload the cargo, and this also automatically adds ship logs for you. Ooh, oh, oooooh, let me! Let me!